captain, chief viewer, resident viewer, steward, viewer; is in complete control of technical and commercial affairs of colliery or shale mine and is responsible to directors alone; appoints subordinate superintending staff (041) and personally deals with all important matters; at some mines, surface duties are delegated to surface agent (q.v.) and underground duties to underground agent (q.v.). see lessee ; cf. master (041). (ii) in Scotland, see surveyor. an agent (q.v.) who is manager of group of collieries often with several certificated managers under him. holds lease to work minerals from royalty master (q.v. ); may sometimes perform managerial work as managing director. 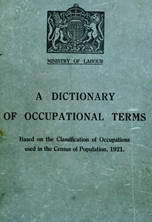 has entire management of colliery or shale mine, and is responsible for observance of Coal Mines Act, 1611, and of general regulations thereunder; must hold first class certificate of competency under the Mines Department and be not less than 25 years of age; must make daily personal supervision of mine and acquire practical experience of all work done; sometimes acts as commercial manager. a mining engineer who acts on behalf of royalty owners; goes down pit and measures, by means of various instruments, etc., coal worked out in order to check colliery estimates of output. lessor an owner of minerals who receives "royalty" (of so much a ton) from lessee for all disposable coal won. (ii) in Yorkshire is manager (q.v.) of small pit. has charge of surface work at colliery under chief agent; appoints subordinate superintending staff on surface, e.g., bank foreman (041); gives all important decisions on surface work. takes bearings in mine by means of dial or compass; books all bearings and length of bearing as measured by chain man (047) (q.v. ); plots survey and prepares plans of mine workings from surveys made as required by Coal Mines Act, 1911; sees that roads are driven according to plan; sometimes specifically designated, e.g. underground surveyor. an agent (q.v.) who has all responsibility for organisation of work underground; appoints all subordinate underground officials; co-operates with manager (q.v.). is responsible, under the manager, for management of mine and for all persons employed under him; must be qualified as required by Section 5 (2) of Coal Mines Act, 1911; in absence of manager is wholly responsible for working of mine; is often assisted by assistant under-manager (041) (q.v.) and by one or more over-men (041) (q.v. ).